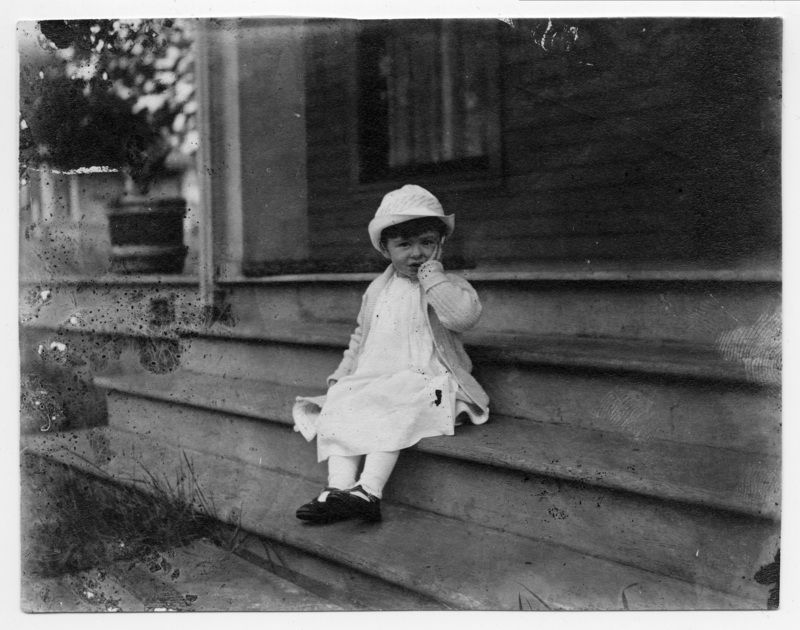 Sweetie Pie; Ava A. Bickner about 18 mos, 1915; born Nov. 4, 1913; on steps of home - 1st & B Ave. Transcription Sweetie Pie; Ava A. Bickner about 18 mos, 1915; born Nov. 4, 1913; on steps of home - 1st & B Ave. Physical Description H 3 3/4" x L 4 3/4"